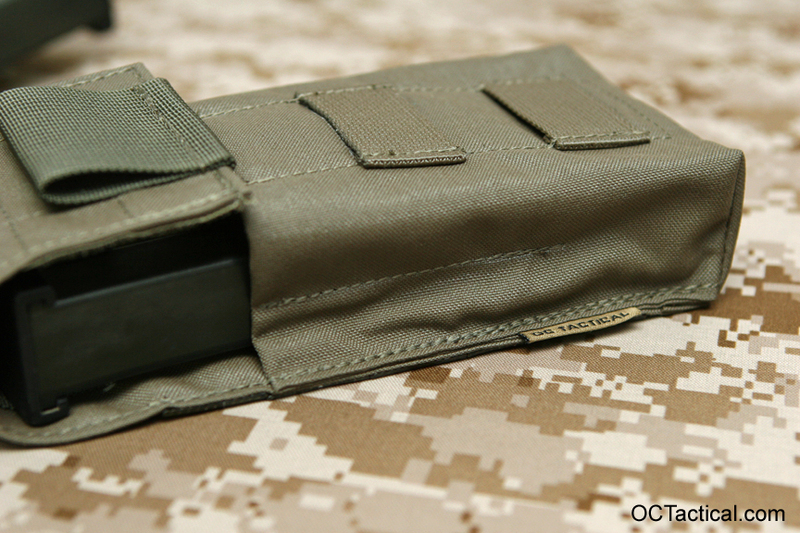 Got a request for a order of single G36 mag pouches a little while back. I’ll start by saying the G36 mag design is gear makers nightmare. Nothing about the magazine is pouch friendly. 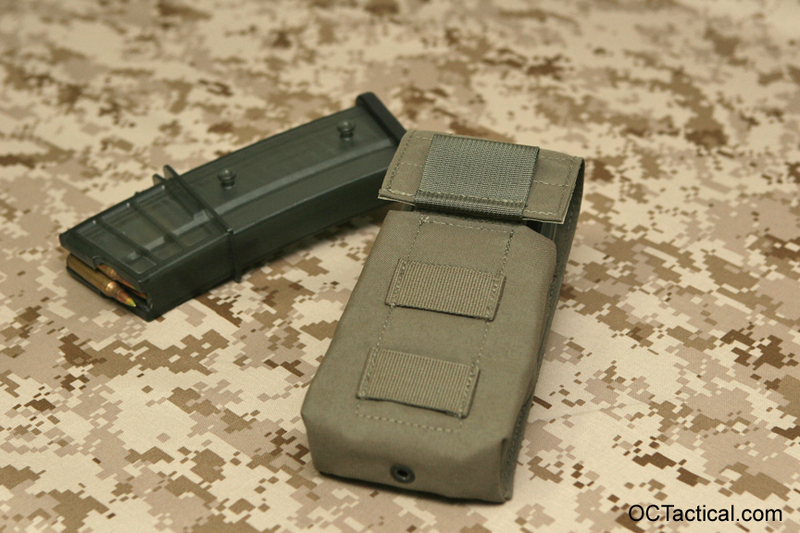 In the past I’ve made double mag pouches and the problem was always the little knobs, lugs, or whatever the hell you want to call them that attach the mags together. Since these needed to be single mag pouches I figured it would be smooth going. Turns out, not so much. The real problem is the ledge that runs all the way around the body that butts up against the magazine well. The genius who designed it was smart enough to round the corners, but not the top and bottom edges. So when you draw the mag from the pouch it likes to catch on anything not perfectly smooth. So binding the top edge was a no-go. So I went to a double layer 500D design, but the mags were even catching on the horizontal rows of stitching near the mouth of the pouch like I normally use. So I removed that stitching, which solved the problem, but now the two layers of fabric were like a wet noodle at the mouth of the pouch when you were trying to insert a mag. So to fix it I had to put vertical lines of stitching on both sides of the body, which fixed the problem. All said and done they ended up coming out pretty nice. I still think it’s time for HK to update this mag design though. Hahaha, I understand you, brother! I realized about problems with G36 mags time ago but I there are two options to avoid that embarrassment. Either you change magazines or you use M4 magazines. In the first case, if I am right, there is no other magazines available yet, though Magpul are working on a new design of their PMAGs for the G36: 30G magazine. But It seems release has been delayed. I hope they solve problems soon. On the other hand, you can get a mag well adapter so you can use M4 mags with the G36. Spuhr has a design about it. But the problem is that adapter won’t accept G36 mags, just M4 ones, so all the ARs in a unit should have that adapter. Then all the guys could exchange mags. 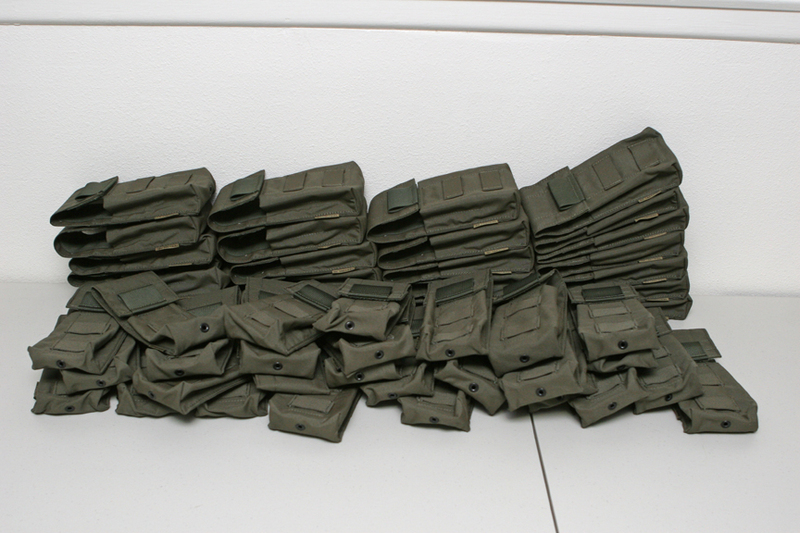 The agency that ordered them originally wanted to go with the G36 Pmags, but after over a year of waiting for something to get released they decided on new pouches for now. They were also looking to go in the direction of the adapter on some the departments guns. How do I get some of these?